Most liability policies impose two obligations on the insurer. First, the insurer must pay damages or settlements the insured is obligated to pay as a result of a claim or suit covered by the policy. Secondly, the insurer must defend the insured against a covered lawsuit. While many types of commercial liability insurance are available, the most common is general liability. Businesses buy a general liability policy to protect themselves against tort-related lawsuits. Most policies contain the same or similar wording as the standard ISO Commercial General Liability Coverage Form (CGL). The CGL covers damages and defense costs under Coverage A, Bodily Injury and Property Damage Liability and Coverage B, Personal and Advertising Injury Liability. Coverage A states that the insurer will pay damages the insured is legally obligated to pay because of bodily injury or property damage caused by an occurrence. It also states that the insurer has the right and duty to defend you (or any other insured) against any suit that seeks damages for bodily injury or property damage. Coverage B obligates the insurer to pay damages for which the insured is legally obligated because of personal and advertising injury caused by a covered offense. The insurer has the right and duty to defend you against any suit seeking those damages. Both Coverages A and B relieve the insurer of any duty to defend claims seeking damages for injury or damage not covered by the policy. For example, Easy Electronics sues Marvelous Machinery for patent infringement. If Easy Electronics sends the lawsuit to its general liability insurer, the insurer will decline to provide a defense. Easy's policy covers claims alleging bodily injury, property damage, or personal and advertising injury (none of which includes patent infringement). The insurer's obligation to defend you is separate from its duty to indemnify. The insurer has a duty to pay damages that result from a covered claim even if no defense is required. The reverse is also true. The insurer may be obligated to defend you even if it has no duty to pay damages. Here is an example. You own Hardy Hardware, a hardware store. Bill, a customer, sues your business for an injury he allegedly sustained in your store. Bill claims that he was standing in the lawn care aisle when a heavy carton fell off a shelf and hit him in the head. Your insurer investigates the claim and determines that Bill's allegations are false. A carton did fall off a shelf but Bill wasn't injured. Bill has filed a suit seeking damages for bodily injury or property damage caused by an occurrence. Assuming his alleged injury occurred while your liability policy was in force, your insurer should defend you against Bill's claim. Your insurer is obligated to defend you even though it has no duty to pay damages. Now suppose that Bill has sued your company for $50,000. Your insurer thinks his claim is valid and fears he might demand more money. Can it send Bill a check for $50,000 and immediately close its file? The answer is no. Your insurer is obligated to properly investigate the claim and provide you a defense. An insurer's duty to defend is broader than its duty to indemnify. Generally, your insurer must provide a defense if the allegations in the complaint are covered by the insuring agreement. This is true even if the insurer believes the claim isn't covered due to an exclusion or some other policy provision. It must continue to defend you until it can demonstrate that the claim isn't covered. For example, suppose a worker of yours (Sandy) is injured on the job and sues your firm for $25,000. Your insurer believes that Sandy is your employee and that her claim is excluded via the employers liability exclusion in your policy. You contend that Sandy is an independent contractor so the exclusion doesn't apply. Because Sandy's claim might be covered, your insurer must defend you until the matter of Sandy's status has been resolved. Because a general liability insurer has the right to defend you, it maintains control over your defense. It decides what defense strategy to follow and which attorney to assign to your case. Your insurer also decides whether to offer the plaintiff a settlement or proceed with a trial. Suppose that your business is insured under the standard liability policy and it has been sued for property damage by a customer. Your brother (Tom) is an attorney. You tell your insurer that Tom will manage your defense and bill the insurer for his services when the suit has been resolved. Will your insurer agree to this arrangement? No! Your insurer will not relinquish control of your defense to someone else. In some cases, your insurer may opt to settle a suit rather than pay the cost of contesting it in court. You cannot prevent the settlement even if you disagree with the insurer's decision. Your insurer has control over your defense so it can settle a claim without your consent. Under most general liability policies, any expenses the insurer incurs to defend you are covered as Supplementary Payments. These expenses are not subject to the policy limits. In some cases, the amount your insurer pays to defend you against a lawsuit may exceed the amount it pays in damages or a settlement. Some claims generate defense costs only. When you and your insurer disagree about some aspect of your insurance policy, you or your insurer may request a declaratory judgment. 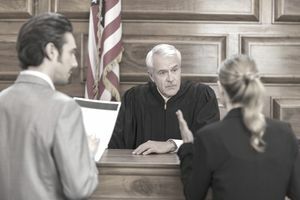 A declaratory judgment is a decision by a court regarding the matter of dispute. The court's decision is binding on you and the insurer. You or your insurer may seek a declaratory judgment if say, you disagree with the insurer's decision that it has no duty to defend you. An alternative to a declaratory judgment is a reservation of rights letter, which is sent by the insurer to the policyholder. A reservation of rights typically states that the insurer will defend a claim but that it reserves its right to deny coverage for all or part of the claim at a later date. If you receive a reservation of rights letter, a declination letter may soon follow. If Your Landlord Sues You for Property Damage, Are You Covered? Is Discrimination Covered Under Your Liability Policy?